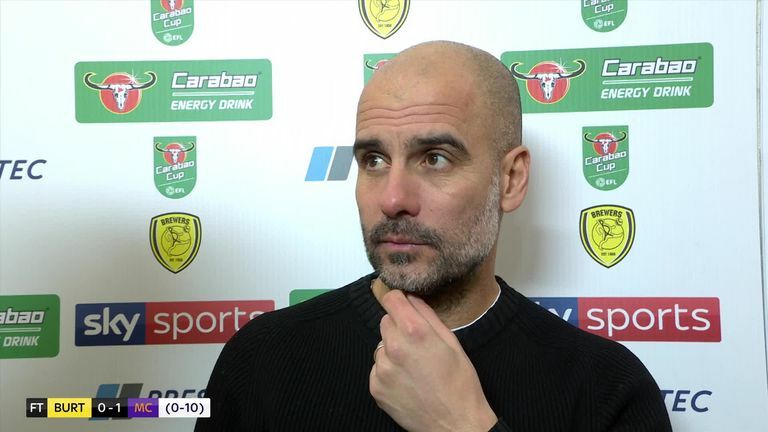 Pep Guardiola says his side treated the Carabao Cup semi-final second leg against Burton with the respect it deserved despite leading 9-0 from the first leg. Pep Guardiola was pleased his Manchester City players came through a treacherous Carabao Cup semi-final at Burton unscathed. City will face either Chelsea or Tottenham in next month's final after completing a 10-0 aggregate victory with a 1-0 win at the Pirelli Stadium on Wednesday. However, with temperatures close to freezing, the City boss was relieved the victory was not marred by injuries to his squad. "The pitch was so dangerous, so slippery," he told Sky Sports. "We had a good game, we missed the last pass but Burton had two or three good chances and [Arijanet] Muric was outstanding. "We are in the final. We started 9-0 up but I didn't see a lack of desire. We played seriously and had no injuries. "It's important to be in the final, it's not easy to get to back-to-back finals, it doesn't matter which competition. Now we will prepare well and try to win." Guardiola opted for a mix of youth and experience for the semi-final second leg, as Eric Garcia, Philippe Sandler, Ian Carlo Poveda-Campo and Phil Foden started. 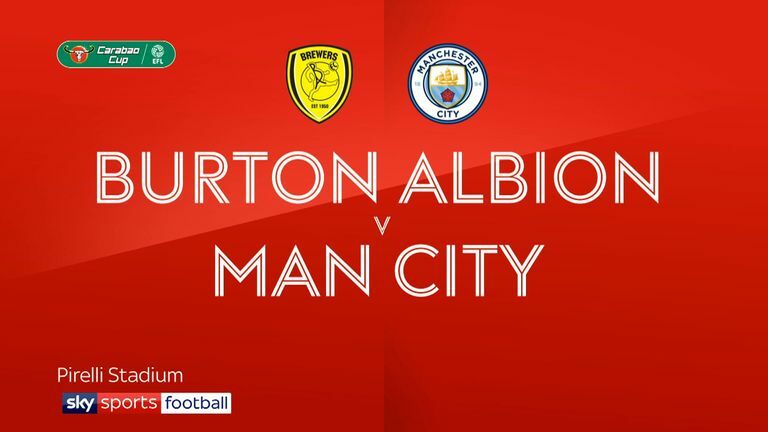 Highlights of the Carabao Cup semi-final second leg between Burton Albion and Manchester City. Kevin de Bruyne and Benjamin Mendy also got valuable minutes under their belts as their respective returns from injury continue. "The young players were good, Poveda was so clever with the ball, and Sandler as well," Guardiola added. "[Felix] Nmecha in the second half was good. Kevin came back and played really good minutes, Sergio as well. 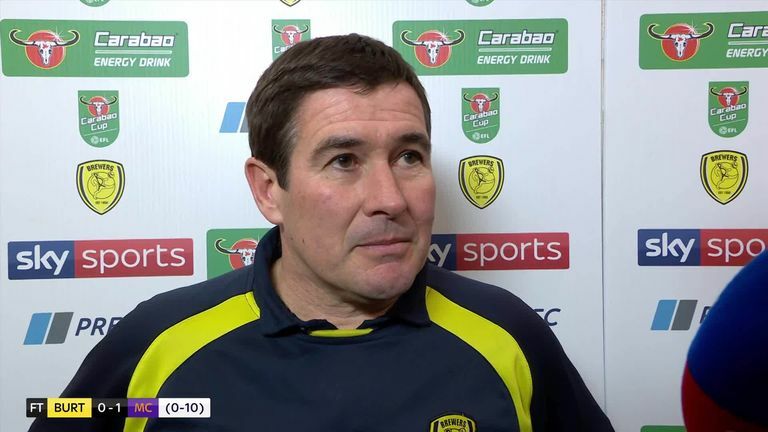 Nigel Clough was proud of the way his side played against Manchester City, saying they caused the cup holders as many problems as some Premier League sides. "Sandler's future is quite good. He has a lot of quality. It was not easy to play today on this pitch but he has the vision to see good passes and he was clever. "Both central defenders are so young and played really good."